What to Look For: Because pineapple doesn't ripen further after being picked, select a ready-to-eat one. Look for fruit that's heavy for its size, with a rich, sweet fragrance. The leaves should be green and fresh-looking. If you can pull one from the center of the stem with only slight resistance, you'll know it's ripe.... I like mine perfectly ripe. I know its ready when I pick it up and smell it. It will smell sweet and ripe. Sometimes it will smell sweet but it doesn't have the ripe smell and I don't cut it just yet. 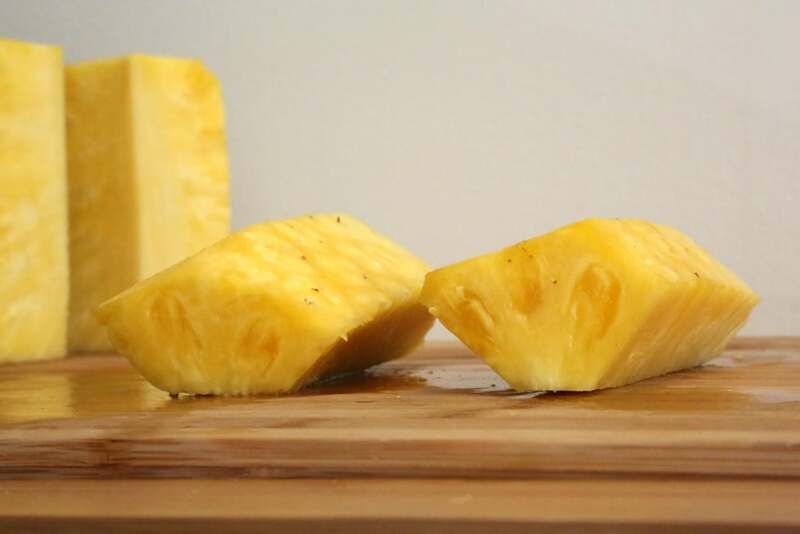 With both ends removed, carefully cut off the skin with the pineapple standing up. This way, it is easier to follow the curve of the fruit and cut it into inch-wide strips. This way, it is easier to follow the curve of the fruit and cut it into inch-wide strips. how to create a book cover online for free 20/02/2017 · here's some tips that allows you to pich a ripe pineaple SUBSCRIBE It's Free : https://goo.gl/mJ9GmP WATCH MORE : https://goo.gl/1Z8OtQ FOLLOW ME : TWITTER : @NeatFacts_1 FACEBOOK : @NeatFacts. Hold the crown of the pineapple, bend it a little and with help of knife, cut the part that joins the pineapple and the stalk. If the fruit is soft or reddish in color, then possibly it is over-ripe or has got some sort of infestation. What to Look For: Because pineapple doesn't ripen further after being picked, select a ready-to-eat one. Look for fruit that's heavy for its size, with a rich, sweet fragrance. The leaves should be green and fresh-looking. If you can pull one from the center of the stem with only slight resistance, you'll know it's ripe. Pineapple plants grow and produce fruit slowly, often requiring between one and two years to produce a pineapple for harvest. 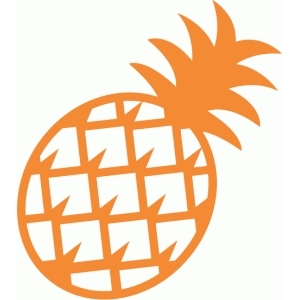 Once your pineapple begins to mature, make sure you know when a pineapple is ripe and ready to pick from the plant to ensure the sweetest pineapple. I like mine perfectly ripe. I know its ready when I pick it up and smell it. It will smell sweet and ripe. Sometimes it will smell sweet but it doesn't have the ripe smell and I don't cut it just yet.